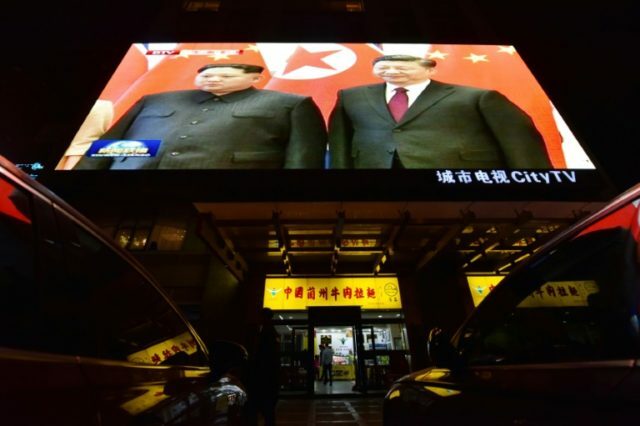 Beijing (AFP) – China has banned exports to North Korea of 32 “dual-use” items that can be applied in the development of weapons of mass destruction, the commerce ministry said. The list of items, which include radiation monitoring equipment and software that can be used to model fluid dynamics or neutrons, is in line with a UN Security Council resolution adopted in September to curb North Korea’s ballistic missile and nuclear programmes. The ban also applies to items with potential dual use in the development of conventional weapons, according to a ministry statement published late Sunday. The announcement comes ahead of planned nuclear summits between the North’s leader Kim Jong Un and the presidents of South Korea and the United States in the coming weeks. China is North Korea’s sole major ally and top trade partner, but Beijing has backed a raft of UN sanctions to put pressure on Pyongyang to give up its nuclear ambitions. China’s exports to North Korea fell 32.4 percent in February, compared to the previous year, Chinese customs data showed. Fuel exports to North Korea slowed down to a trickle in February as a result of sanctions imposed in September. Imports from North Korea, including sea food and textiles, dropped 94.7 percent in February, as Chinese companies shied away from doing business with Pyongyang. President Donald Trump’s administration has urged China to put the economic squeeze on North Korea and seal off any smuggling channels. In February, China said it was investigating reports that a vessel — with Chinese characters on its hull — had allegedly transferred cargo to a North Korean ship in the East China Sea. It was the third time this year that Tokyo had reported a cargo transfer by a North Korean vessel in violation of UN sanctions.